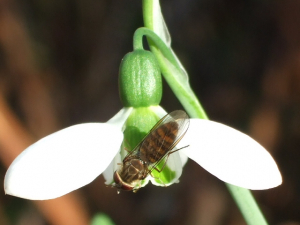 Observation - HOVERFLY ON SNOWDROP - UK and Ireland. Description: Hoverfly nectaring on snowdrop in winter sunshine. Hoverfly nectaring on snowdrop in winter sunshine.